Children will love racing in these bright, roomy sacks. Each bag has a flat bottom, super-stitched seams and nylon short and long handles, with numbers printed on the bags in four languages. These bags are perfect for indoor and outdoor use, and are able to withstand rug wear. With the highest inflammability rating in the industry, these jumping bags meet all ASTM F963 safety standards. Machine washable. Measures 26" x 13" x 13". Includes 6 jumping bags in assorted colors. 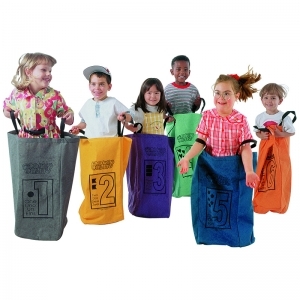 Children will love racing in these bright, roomy sacks. Each bag has a flat bottom, super-stitched seams and nylon short and long handles, with numbers printed on the bags in four languages. 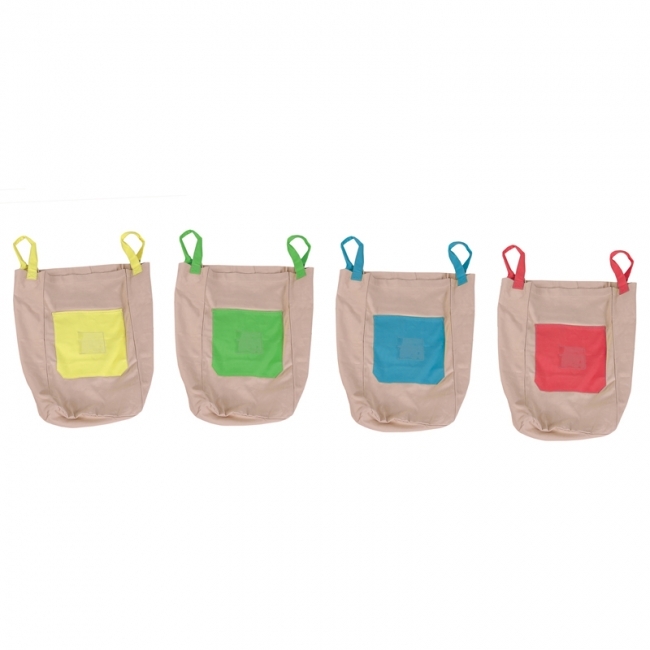 These bags are perfect for indoor and outdoor use, and are able to withstand rug wear. With the highest inflammability rating in the industry, these jumping bags meet all ASTM F963 safety standards. Machine washable. Measures 26" x 13" x 13". Includes 10 jumping bags in assorted colors.